Taking your dream role among the roster of Shakespeare characters available is already a challenge in itself. Most of the time, The Bard of Avon manages to dish out characters that are not 2-dimensional. It’s a given. Nothing is totally good or bad. In fact, most of them involved personalities that are neither good or bad which really says a lot about how these characters are ahead of their time. What made these roles memorable? It’s the tragedy as presented in the way human beings react to the situations presented to them. Theater has a way of influencing public opinion in a way that most political speeches can’t perhaps because the best actors have a way of presenting the frailty of the human will power. It touches the audience that makes the story relateable, they become instant conversation fodder for months in the community where they got staged. Now who could they be? One of the earliest characters that Shakespeare wrote with a clear dark streak, this is one of the earliest characters that The Bard of Avon wrote that is unapologetically evil, at least in the vision of the person who wrote the play. So the challenge on the part of the actor assigned with this role is portraying him as someone evil without looking too caricature-ish. Remember that there are some scenes where he had to pretend to be someone not interested with power in order to gain more power. That’s how layered the role is – a testament to Shakespeare’s talent as a playwright with human behavior as basis of his characters. Despite the politically-charged storyline, actors throughout the years managed to assume this role and get away with it. Presenting it today might still ruffle some feathers knowing the slightly biased interpretation but that perception would still rely on how the actor chose to give life to this character onstage. 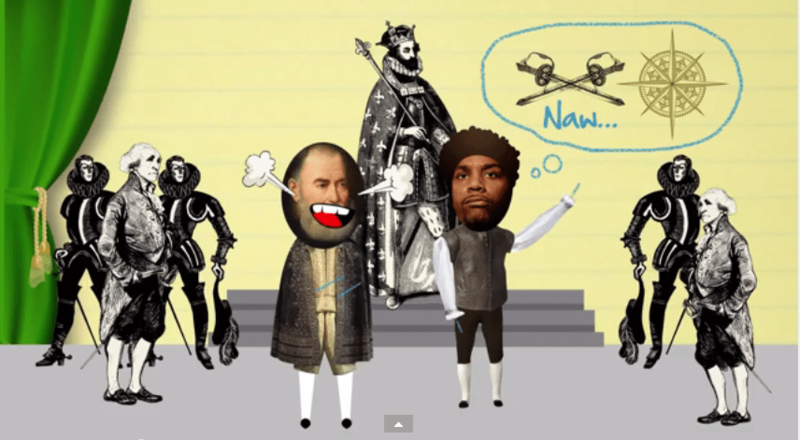 Speaking of biases, Shakespeare tried to strike a balance story-wise with the play “Julius Caesar”. As a character though, while doing your own research by browsing through data available online, much about the character is based on the playwright’s perceptions of the prominent Roman. It is a similar with unapologetically evil characterization as that of Richard III except that as a character, he cared less about what people around him thought hence the “ear” comment. That eventually led to a tragic end that was earlier than expected in the play. Playing this character ran the risk of looking too brash or too arrogant to the point of parodying the typical Roman leader. If ever there is one amoral character that can be played for laughs and still come across as challenging, it would be Falstaff. This is one character that was intended to be funny without the character realizing how much of a tool he has become. This was evident in the play “The Merry Wives of Windsor” where he was so confident in trying to woo 2 women that he did not even bother writing 2 different letters to them. While this role is written with a very fat guy in mind to play him, some versions feature an actor wearing a fat suit since his gut often served as proof of his gluttony and high sense of self. The biggest challenge for an actor is how to make Falstaff funny without the character realizing how his attitude has turned him into a laughingstock that his opponents found too easy to fool in an attempt to beat him in his own game. Now we find a character that may not really be evil but was pushed by his own ambition. He just didn’t realize that he aspired to be king one day if not for the 3 witches he encountered and his wife, Lady Macbeth, discovering their prophecy. He killed the king and all potential heirs that he managed to find. He then grew overconfident over the prophecy (yes, another prophecy) that no man born of a woman can ever kill him. The challenge that an actor faces in portraying this role lies in the character development from being a dutifully obedient knight to throne usurper to paranoid king filled with insecurities to an overconfident decorated warrior. Very different from previously mentioned roles as those involved a consistent mean streak compared to playing Macbeth. And speaking of insecurities, we now move to perhaps the lead character with the worst insecurities ever written, “The Lion of Venice”, Othello. Have you ever wondered how a warrior as decorated and accomplished as he is, he would easily be swayed into thinking that his wife, Desdemona, is being unfaithful to him? It says more about Othello than the person feeding him the misinformation, Iago. 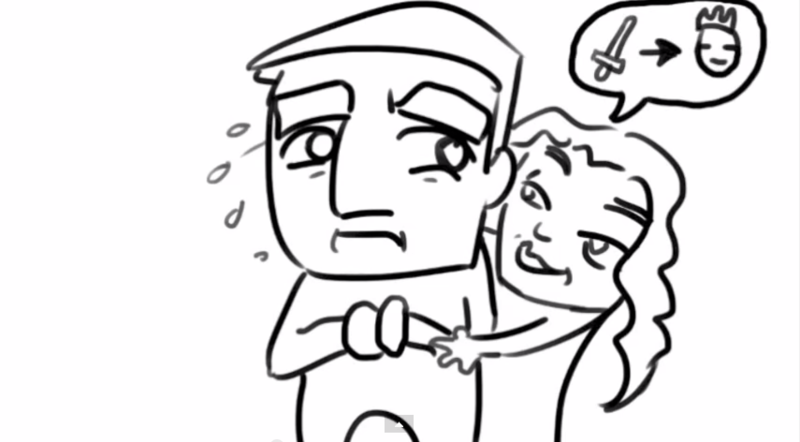 The character development can be compared to that of Macbeth except that Othello had a scarier temper. The challenge that actors face when playing this role is how to snap, kill and later, weep, while still looking manly. Remember that apart from being heart-broken for being made to think that Desdemona is cheating on him, his ego is also bruised. Othello may have been many things, but he is not a wimp. Think manly tears. 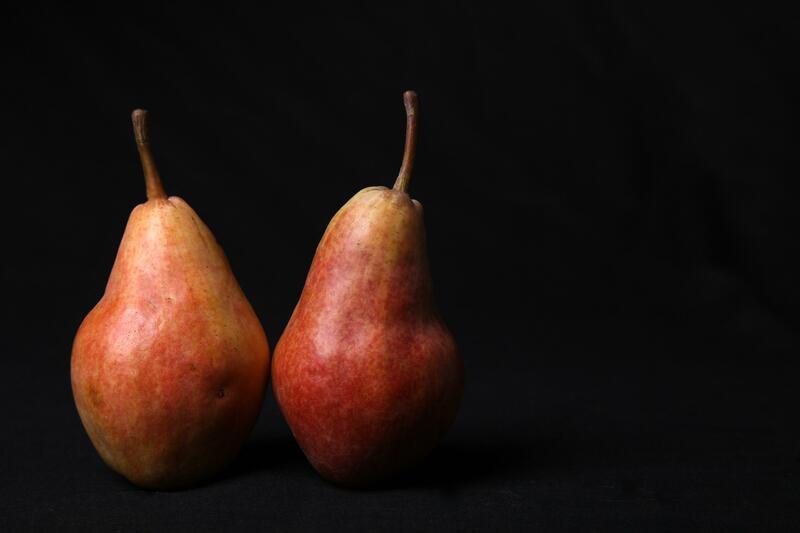 Now while we are at the topic involving words that meant to sway, while Iago sang platitudes to Othello at the expense of Desdemona’s reputation, the 2 daughters of King Lear flattered their father expecting to be favored of a larger slice of the pie of inheritance. Splitting his inheritance based on verbal assurance of his daughters’ love for him, it sure made a case on his state of sanity or lack of it. The harsh realizations of the kind of daughters he ended up having pushed him to madness, the kind of retirement from power that he did not expect. Despite having 2 endings to pick, the toughest challenge that this role poses is infusing senility into the fall to insanity. The actor need not be of advanced age. Just old enough to act the part of someone “nag-uulyanin” (dementia) aggravated by the corrupt world that he has witnessed. Finally, the craziest role in this list, the title role in “Hamlet”. 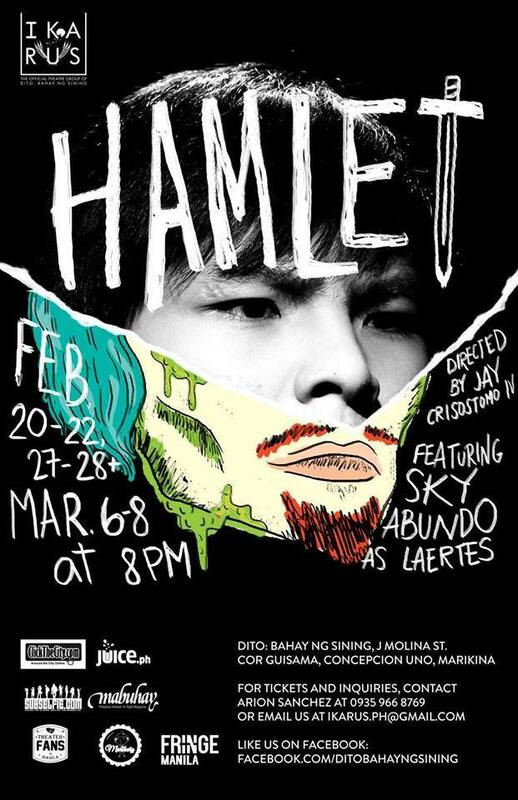 When Hamlet chose to mourn his father’s death than celebrate his mother’s wedding to his uncle, he went crazy. He felt himself losing his grip on reality but still managed to grasp at straws just in time to plot vengeance against his uncle whom he thought poisoned his father to usurp the throne. The biggest challenge to the actor (read: moi) is playing the role of a character who’s halfway into insanity. Halfway because as much as he can feel like losing his head, it was not totally natural. Since his own head is messed up, he found it fitting to mess with everyone’s heads as well. The consequences were tragic, of course. And perhaps the best way to handle this role is to lose all inhibitions and just snap. Such colorful characters that makes you think that Shakespeare studied human behavior at close range in order to come up with memorable personalities in his plays. These are the kind of roles that the actors that are most serious with their craft constantly aspire for. This explained best why I consider Hamlet as my pride and glory. 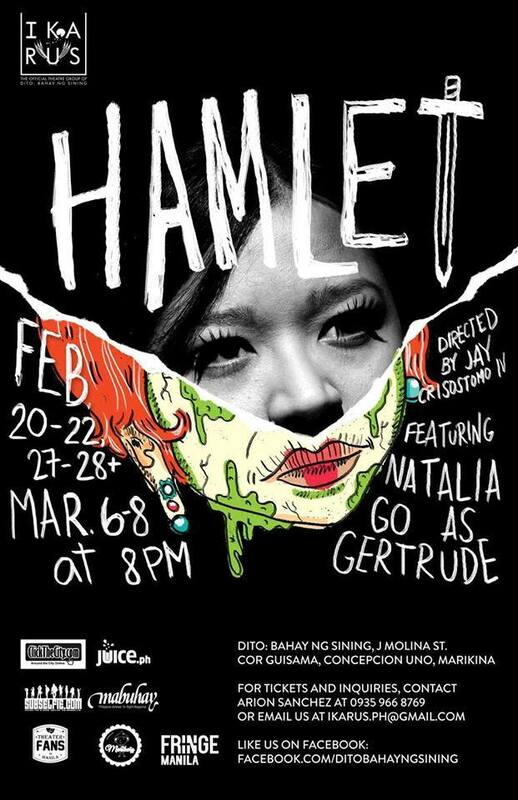 And I would appreciate it very much if you would go out of your way and see the remaining performances of Hamlet at DITO Bahay ng Sining. Dates and ticket prices are on the poster itself. For more updates like special deals and other theatrical productions that I will be participating in, please like my official Facebook page, Kuya Manzano Fan Club, and follow me on Twitter @kuyamanzano. Gracias! Reading Shakespeare’s best sonnets can be challenging especially when it is not included in the repertoire that you’re supposed to practice. It’s understandable anyway how some sonnets only get analyzed whenever you feel like browsing some of them to read on your free time and realize the aspects that made them extra interesting. In what way can love not hit the mark? While Romeo had to intimately talk to Juliet in order to realize how much she loved him too, a little advice went naughty once you try re-reading the lines. Too bad, Romeo is too innocent to realize it. Just in case you missed the line that says “open arse”, you then would realize that Romeo needed to pop her in pear. Well, that escalated quickly. Then again, you know teenagers always have had issues with raging hormones. Parks are meant for walking. Deers are meant for hunting. Tread on those hills and find some nice fountains gone gushing. 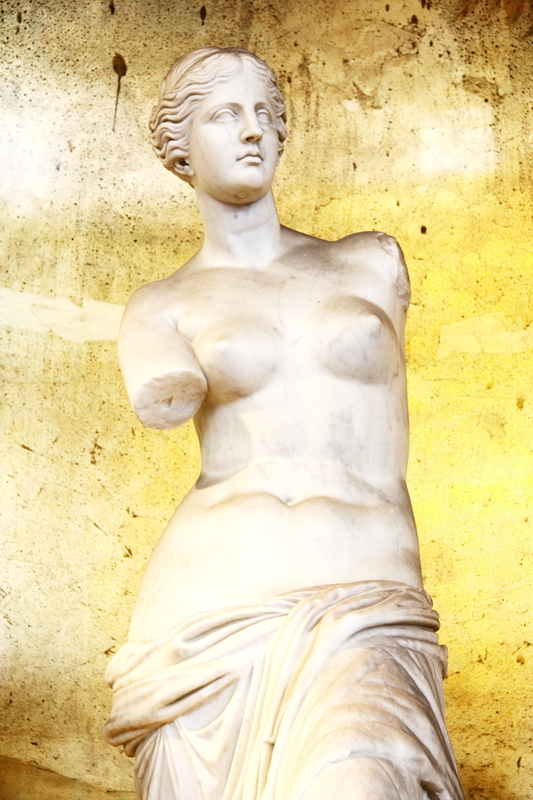 And you realize it’s the Roman goddess of love gone rhyming. When erotica is sweetened with the help of double entrende, it makes you guess what Adonis is thinking. Which pair of lips should he be grazing? And just when you thought it’s only women that are good with messing with their lovers’ heads, think again. 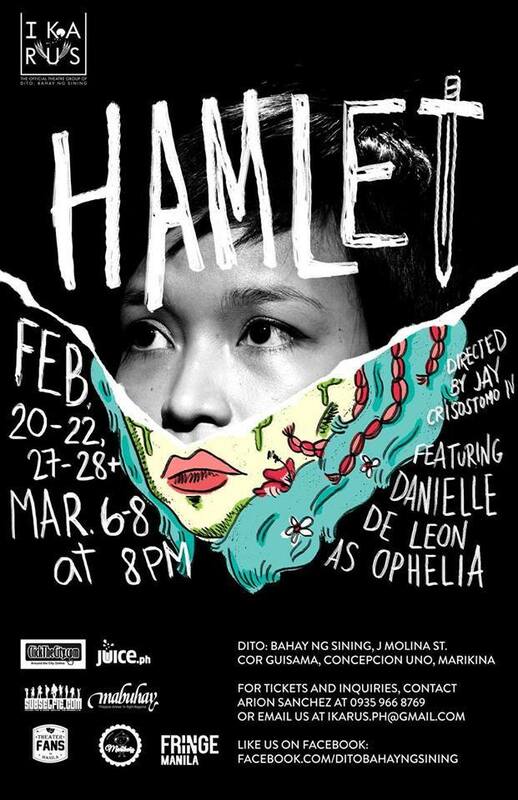 One memorable exchange occurred in the play “Hamlet” between Hamlet and Ophelia. Ophelia is trying to strike up a decent conversation with Hamlet even if she can sense how his sanity is starting to get the best of him. The dialogue went as this. That’s a fair thought to lie between maid’s legs. It’s all in the head and it’s a discussion about the head. 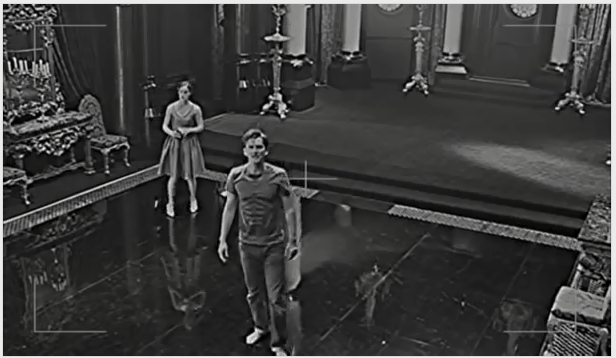 In a sense, just when you thought that the welcome malice is all in Ophelia’s head when it comes to discussing where Hamlet may enter his head, Hamlet would twist the conversation about a place to lay his head. Sometimes Ophelia interprets the conversation as Hamlet giving her head only for Hamlet to adjust his choice of words in a way to refer to her lap as a resting place for his head. Then he mentioned resting “between maid’s legs” and Ophelia is confused all over again. See? Even our own heads got messed along with theirs. 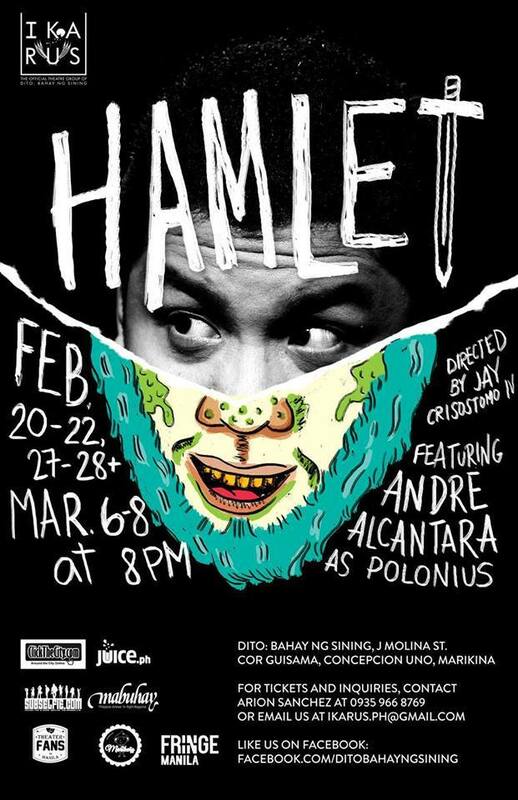 If reading between the lines recited in several soliloquy stanzas delivered in plays like “Hamlet” hasn’t messed you up just yet, go and watch us in full crazy glory as I mess up with your heads as well. 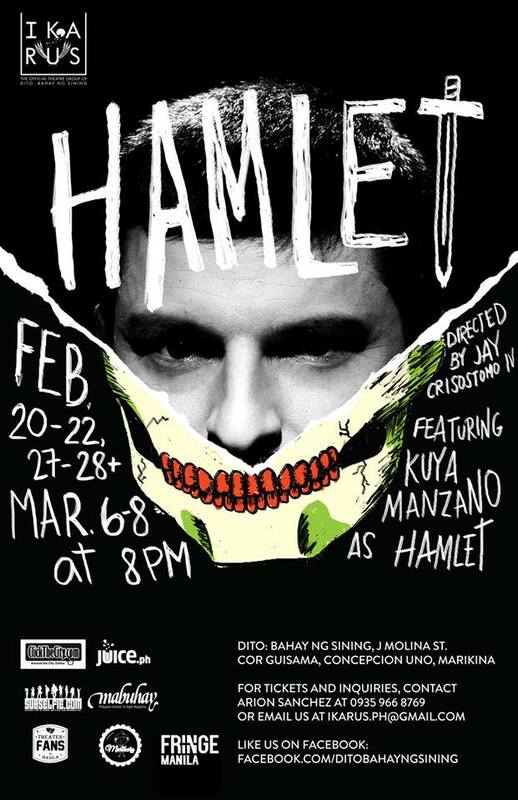 It would be a blast for me to play the titular role of Hamlet at DITO Bahay ng Sining. Updates, play dates and ticket prices would be displayed at my official Facebook page, Kuya Manzano Fan Club, and at my Twitter account @kuyamanzano. I would appreciate it very much if you would follow both accounts on social media for real-time updates. See you there. Reading Shakespeare in its original form can be taxing for someone like me whose mother tongue is not even English. 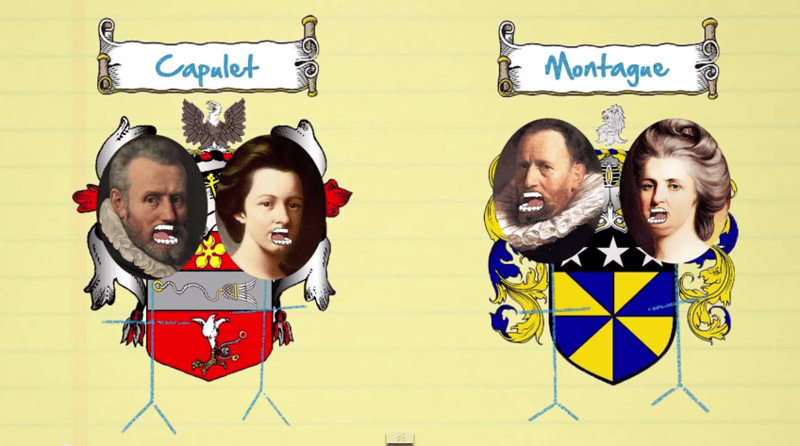 What more for the native English speakers who happened to be compatriots of the The Bard? It can put your mental stamina to the test especially when faced with text peppered with apostrophes and Victorian references that may not be always applicable today. So how about analyzing the storylines as condensed in the books found on Project Gutenberg? Summarized versions of the books are found there for everyone to get a gist on the play that some folks plan to stage. A few ideas won’t hurt granted that I remove the spoilers. If you insist on the spoilers, just click on the images to see them. Perhaps the laziest title ever, it was the story about Orlando and Rosalind. The fact that Orlando had a brother who treated him like crap and Rosalind’s father got exiled by his brother to steal the duke title meant destiny. Well, more like finding a kindred spirit except that the next time Orlando met Rosalind, he didn’t recognize her anymore. Rosalind disguised herself as a guy when she escaped her uncle with her cousin, Celia, who in turn disguised herself as a poor lady. Yeah, long before Pinoys enjoyed gender-bending soaps from J-Drama and K-Drama, The Bard has been writing stuff like this. 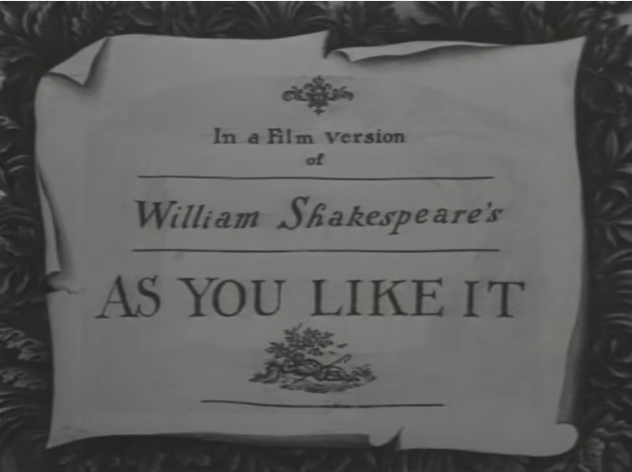 “As You Like It” is his best among them though. And the part about lazy titles has some truth to it too. 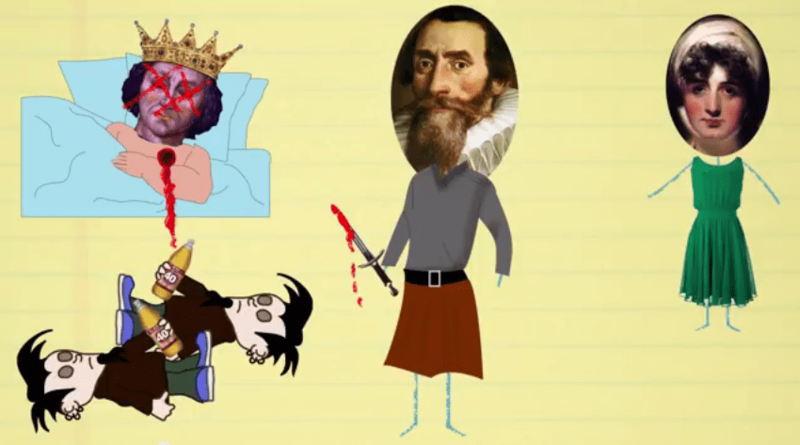 Originally titled “The Tragedy of Macbeth”, it is about Macbeth who realized he got some malevolence in him the moment he received the prophecy from the 3 witches about him being the next king of Scotland. He never knew he wanted to be king until Lady Macbeth pushed him to. Maybe she’s just the flicker needed. So he killed the king. She framed the sons and the remaining heirs to the throne escaped, which gets you thinking what kind of upbringing they received. He accumulated power and wealth and thought that he’s invincible. The moment he realized that his reign is endangered, he had to go back to the 3 witches who told him about prophecies related to the only things that can endanger his rule. Too bad he read them all wrong especially the part about no human being born of a woman could ever kill him. If there is one love story that set the trend for most soaps today, it’s “Romeo and Juliet”. Young teens that fell in love way before they realized their families are enemies, sometimes it serves as a commentary about how the young fall too fast and think too slow. Not that falling in love is a bad thing but a series of coincidences and a whole lot of recklessness later [SPOILER ALERT], the couple is dead. And it all began with a letter that did not make it to the recipient. Such is the time when smartphones don’t exist yet. A tale of jealousy gone wrong, it showed how the jealousy of Iago spurned him to push Othello to be jealous of his wife, Desdemona. And all because Othello picked Cassio instead of Iago for promotion. 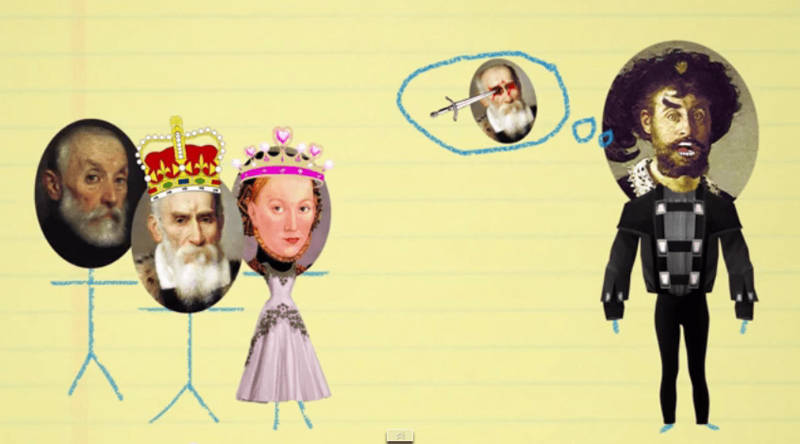 Iago then made it look like Desdemona is having an affair with Cassio, driving Othello mad with jealousy. Knowing how the opera version composed by Giuseppe Verdi chose to focus on this drama shows how Othello, as much as he is dubbed as “The Lion of Venice”, is just as guilible and powerless when it comes to wolves in sheep’s clothing just like Iago. Othello chose to believe his new aide instead of his own wife and it produced irreversible and painful consequences. I told you I won’t spoil much. And of course, Hamlet, the inspiration behind Lion King except that it was not mentioned in the animated film whether Scar had to marry Simba’s mom to be king. Here, it’s the marriage between his mother, Gertrude, and his uncle, Claudius. He was like “Mom, Dad’s barely a year dead and you got remarried? And to uncle, of all people?” It drove him nuts and jumped to the conclusion that no woman can’t live without a man, to hell with being a virtuous woman. He delivered a series of soliloquies that suggested he’s bonkers. He pushed Ophelia away before he could cheat on him (I told you he’s bonkers) and staged his plan for vengeance that could have suggested that he may not be as bonkers as we thought him to be. One big guarantee is that it turned out to be the greatest play that The Bard had ever written. And so was the title of the play that I will be headlining as shown on the dates written on the poster. Everybody knew I’m bonkers and I can’t blame them if that’s best criteria they used for casting me as Hamlet. I hope to see you there. Don’t worry, I don’t bite. I would appreciate it more if you like my official Facebook page, Kuya Manzano Fan Club, and follow me on Twitter @kuyamanzano. Gracias!